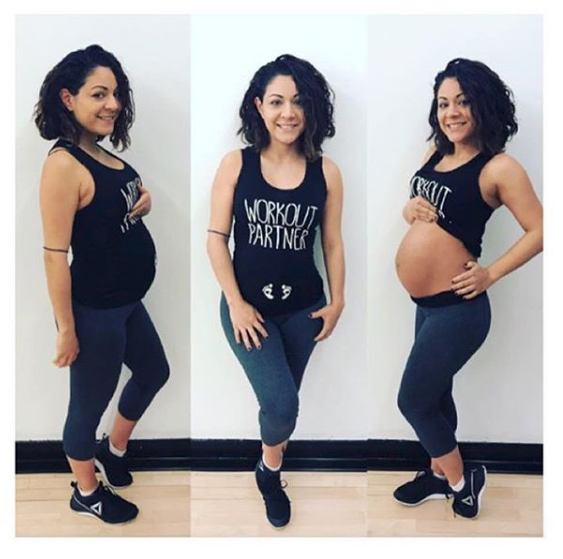 I knew that I didn’t want to begin counting calories or limiting what I ate due to the fear of gaining too much weight through the pregnancy, therefore a simply worked on maintaining a regular workout routine. Of course, I spoke about this with my midwife and insured I had her approval the entire time. Prior to finding out that I was pregnant, I had been working out on a regular basis, so it wasn’t as if i simply begun pushing myself when I became pregnant. Up until the beginning of the seventh trimester, I would run approximately 4 miles about 3 to 5 times a week in addition to my regular walking getting to and from work/running errands on a daily basis. Of course my runs ended up getting slower with time, but I definitely believe keeping active helped with my energy level remain consistent through the pregnancy. December 4 was the last day I completed a short slow run and due to becoming is Physically tired quickly, there after decided to rely on my regular daily walking, which has averaged about 3 to 5 miles a day. In a few more weeks, I will learn how much this has or hasn’t helped me with the delivery.